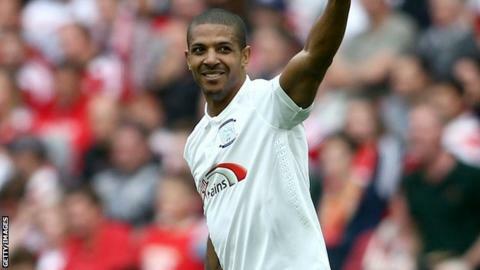 Preston striker Jermaine Beckford will be out for "a number of months" after undergoing surgery on a knee injury. Beckford joined Preston in June after a successful loan spell, but has since been limited to just two appearances. The 31-year-old scored 18 goals in 31 games for the Lilywhites last season, including a hat-trick in the League One play-off final. "It's what happens in football and we'll get on with it," manager Simon Grayson told BBC Radio Lancashire. "I'm not going to give you a timescale of when he's going to be out but he'll be out for a few months rather than weeks. "We've got enough competition within the squad to help us along the way." Grayson had more positive news on Jordan Hugill and Kyel Reid, who were taken off with knocks in Monday's Lancashire Senior Cup loss to Everton. "I don't think they're going to be as serious as one or two people thought on Monday night when they came off," Grayson added. "I think they'll both miss the weekend but we'll see where we are after that."